Laura is a Chartered Legal Executive within our Family Team, specialising in matters including divorce and dissolution of civil partnerships, financial settlement, child residency and contact, change of name and pre and post-nuptial agreements. Laura graduated from the University of the West of England in 2005 with a 2:1 honours degree in Law after which she spent a year travelling across America and Japan. 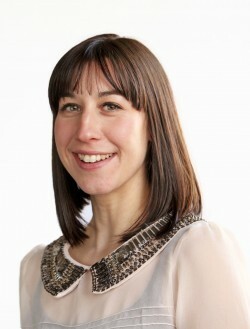 She joined Leathes Prior in 2006 and began studying towards qualifying as a Chartered Legal Excutive, successfully completing her studies to become a Fellow of the Chartered Institute of Legal Executives in 2010. Laura has just under 10 years of experience advising clients on a wide range of family issues including separation, divorce, financial settlements and children matters. Laura is a member of Resolution, a national group of family lawyers who aim to resolve disputes in a non-confrontational manner. I found Laura and her colleagues guided me through my divorce with ease and without stress, during what was a very difficult time. Professional, diligent and always making me feel like I was important at that moment. I feel confident that during the whole process the team had my best interests in hand. Thank you once again.